Facebook is a big name in the social media platforms with one of the largest user base across the globe. The recent incident of Cambridge Analytica made Facebook see a rough time. However, Facebook still seems to be on the same path. It was found that Facebook has been tracking your virtual movements. the strange fact about this tracking is that it tracks you even if you don’t have an account on Facebook or you’ve logged out of your profile. Also, there is no way provided for you to opt out of tracking. David Baser, product management director of the company, revealed in a blog post that Facebook tracks the users who visit website and apps that have incorporated services like its “like” and “share” buttons. Baser also said that they cannot distinguish between a user and a non-user of this social media platform while transmitting data to Facebook. The reason for not recognizing is the website and apps don’t know which of the users are signed up with Facebook and which are not. Baser also stated that “when you visit a site or app that uses our services, we receive information even if you’re logged out or don’t have a Facebook account”. Know More: How Is Facebook Trying To Regain Your Trust? Here, the non-user cannot see the type of information that Facebook has collected about them. Moreover, they cannot opt out of that tracking through any interface. The reason for that is that the user doesn’t have an account or service with Facebook, a spokesperson said. The concern of the ability of Facebook to control users and non-user’s information was looked worrisome among the lawmakers during the CEO Mark Zuckerberg’s congressional hearings. If you’re a Facebook user, you can opt out of targeted advertisements. For non-users, Facebook doesn’t use the information it collects to target them with advt. It also doesn’t create any shadow profile of non-users that is influenced by their off-Facebook activities online. The company spokesperson said, “if you’re not a Facebook user, we cannot identify you based on this information, or use it to learn who you are”. However, if you’re a non-user, Facebook may show you advt. urging you to sign up. On the other hand, if you’re a Facebook user, there’s a different algorithm being followed for you. If you access your profile or even log out of your Facebook account, it still keeps a track of the applications and websites that you’ve been going through. Facebook not only tracks your online activities but also links it to your profile so that you can be catered the targeted ads based on your online searches and activities. Can you opt out of Targeted Advt.? Fortunately, Facebook provides an option to opt out of being a prey of targeted advt. only for its users. You can opt out of your off-Facebook activities and internet surfing to be used to target and customize advt. specially for you from the ad preference page of Facebook. Not only on Facebook but you can also opt out of Facebook to target advt. on other websites and applications. However, it is not possible for you to opt out of the company tracking your activities on those services and sites. 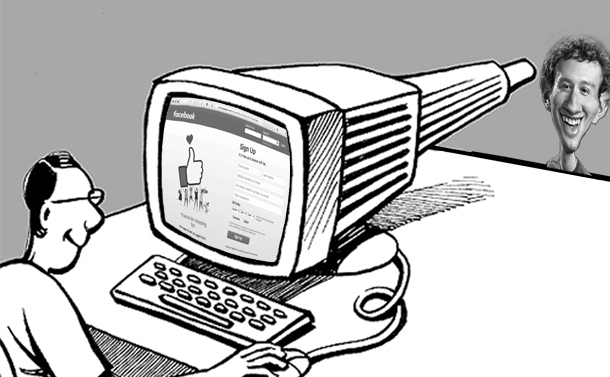 Overall, it is true that you’re being watched even if you’re not using the services of Facebook. If you’re a non-user, there may still be a chance that your activities are being tracked to show you the advt. based on your interests and searches. However, if you’re an active user of Facebook, it is important that you opt out of any tracking that may lead to show you the targeted ads. What Are ARCore and ARKit Frameworks and How They Work on Our Smartphones?